Alan Brinkley specializes in the history of twentieth-century America. From 2003 to 2009, he was University Provost, and before that chair of the Department of History. 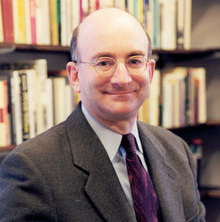 In 1998-99, he was the Harmsworth Professor of American History at Oxford University, and in 2011-2012, he was the Pitt Professor of American History at the University of Cambridge. He has been a member of the Columbia faculty since 1991. "Liberalism and the Problem of Belief." Neil Jumonville, ed., Liberalism for a New Century. University of Chicago Press, 2007, pp. 75-89. "The Debate over the Constitutional Revolution of 1937," Introduction to an AHR Forum, American Historical Review, 110 (October 2005), pp. 1046-1051. "The Idea of the American Century." Laurence Moore and Maurizio Vaudagna, eds., The American Century. Cornell University Press, 2002. Imagining the Twentieth Century. The Harmsworth Inaugural Lecture, Oxford University, 1999. Oxford University Press, 1999. Culture and Politics in the Great Depression. The 20th Charles Edmondson Historical Lectures, Baylor University, 1998. Baylor University Press, 1999. "1968 and the Unravelling of Liberal America." Carole Fink et al., eds., 1968: The World Transformed. Cambridge University Press, 1998, pp. 219-236. "Robert Penn Warren, T. Harry Williams, and Huey Long: Mass Politics in the Historical and Literary Imaginations." Glen Jeansonne, ed., Huey at 100: Centennial Essays on Huey P. Long. McGinty, 1995, pp. 17-32. "The Problem of American Conservatism." American Historical Review, 99 (April 1994), 409-429. "Historians and Their Publics." Journal of American History, 81 (December 1994), 1027-1030. "The Antimonopoly Ideal and the Liberal State: The Case of Thurman Arnold." Journal of American History, 80 (September 1993), 557-579. "The New Deal and the Idea of the State." Steve Fraser and Gary Gerstle, eds., The Rise and Fall of the New Deal Order. Princeton University Press, 1989. pp. 85-121. "Prosperity, Depression, and War, 1920-1945." Eric Foner, ed., The New American History. Temple University Press, 1997. pp. 1133-158. "Richard Hofstadter's The Age of Reform: A Reconsideration." Reviews in American History, 13 (September 1985), 462-480. "Huey Long, the Share-Our-Wealth Movement, and the Limits of Depression Dissidence." Louisiana History, 22 (1981), 117-134.